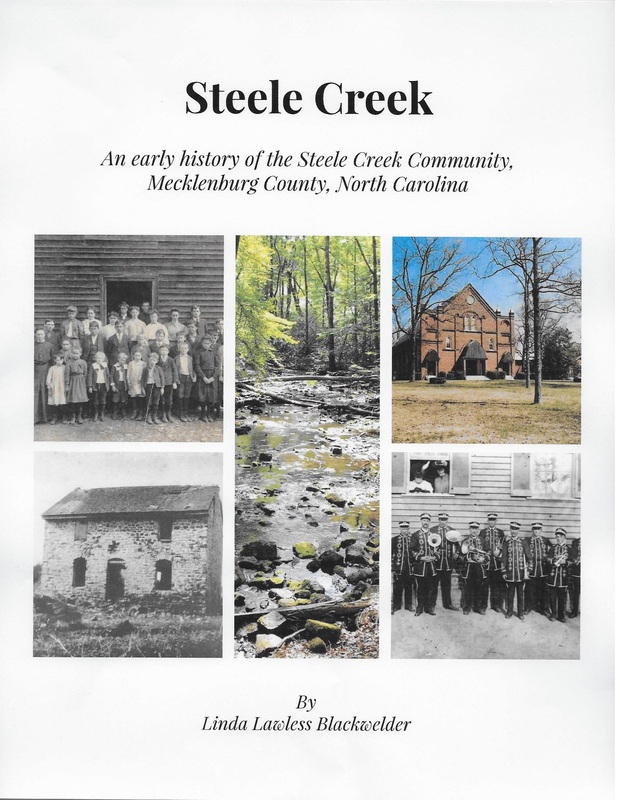 (October 8, 2018) Local historian Linda Blackwelder has written and published an Early History of the Steele Creek Community. It primarily covers families from original settlers up to the Civil War but also covers Native Americans as well as early stores, businesses, churches, and schools. 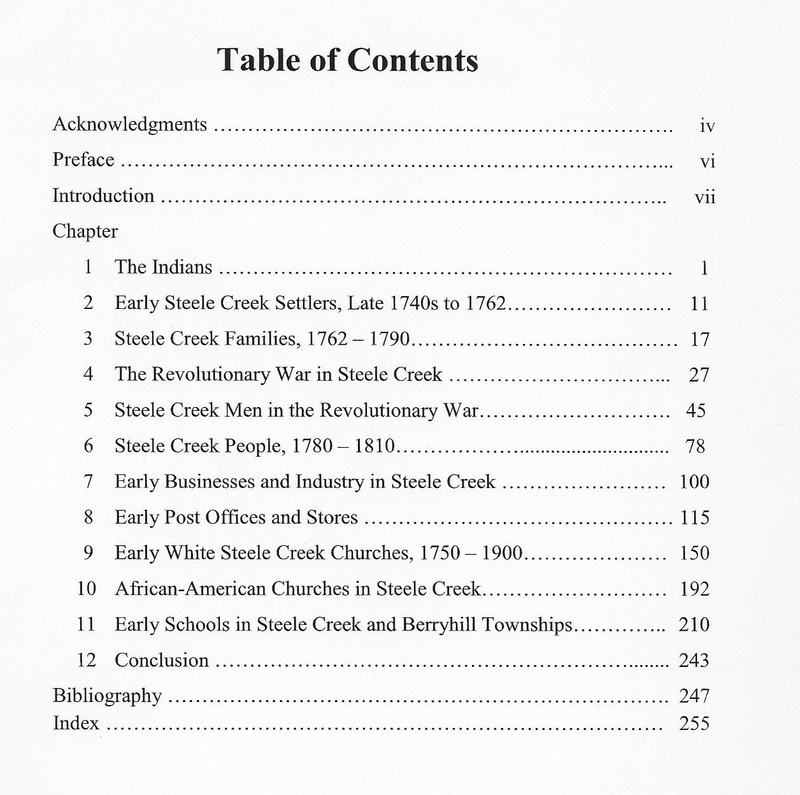 Linda has spent over 40 years researching Steele Creek people and its history and is a virtual encyclopedia of Steele Creek information. She has lived in Steele Creek for 56 years. She founded and was the first president of Steele Creek Residents Association and started the Land Use Committee to monitor rezonings in the community. In 1994 she started the Steele Creek Historical and Genealogy Society, which is still meeting. She was Editor of the Society's Gleanings newsletter for 19 years. She has served as president of Steele Creek Elementary and Kennedy Junior High PTAs. She also wrote a history of Central Steele Creek Presbyterian Church in 1980. She wrote the Steele Creek History Quiz, which is available on this web site. If you are interested in obtaining a copy, please contact Linda by email or telephone. The cost is $27.00. You can arrange to pick up a copy at her house or if you live in the neighborhood, she may be able to meet you or leave it at your church. If you want it mailed, an additional $4.00 is added for postage and packaging, for a mailing total of $31.00. The book is footnoted, indexed and has a bibliography of sources used to write the history. The following is its Table of Contents.